Ashley Poole, a native of Toccoa, GA, has honed her craft both in the US and abroad. Her work captures culturally rich thematic elements and great diversity in portraits and still-life. 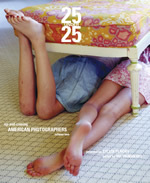 a collection of 25 talented young american photographers under age 25.